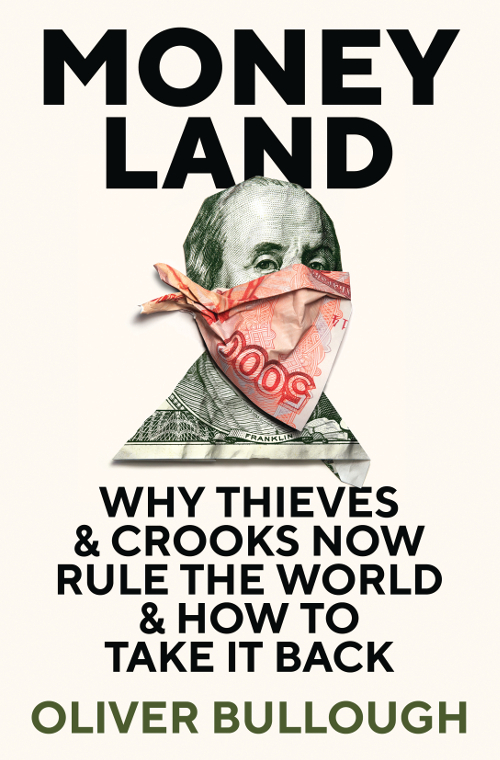 Acclaimed investigative journalist and author of The Last Man in Russia, Oliver Bullough takes us on a journey into the universe of the lawless, stateless super-rich. This is a land where third-world kleptocrats rub shoulders with terror financiers, captains of industry, and western heads of state; from the ruins of Kiev to the Bond-villain lairs of Knightsbridge and Central Park, something has gone wrong with the economic structures of the world. Learn how the institutions of the United States and Europe have become money-laundering operations, climbing over one another in a scramble to sell off the foundations of their own stability. Discover the true cost of being open for business, no matter the customer. Meet the dictators (and their awful children). More encouragingly, find out how activists around the world are fighting to put the genie of unlimited power with zero responsibility back into the bottle. Oliver Bullough pieces together some of the biggest news stories of the past years – from the Panama Papers, to Ukrainian conflict, Trump, and runaway inequality – into a single coherent diagnosis. Take a walk on the dark side of globalisation, and discover the all-pervasive organised crime networks that reach from Russia to the banks of the world, and to every personal computer connected to the web.